Happy Friday everyone! This week has whizzed by like nothing else and tomorrow is the weekend and today I am planning what I might devour for breakfast. Yes, I haven't managed to make concrete New Year's resolutions yet and while getting fit, eating healthy and loosing a little bit of weight are somewhere in there I still need to figure out how. 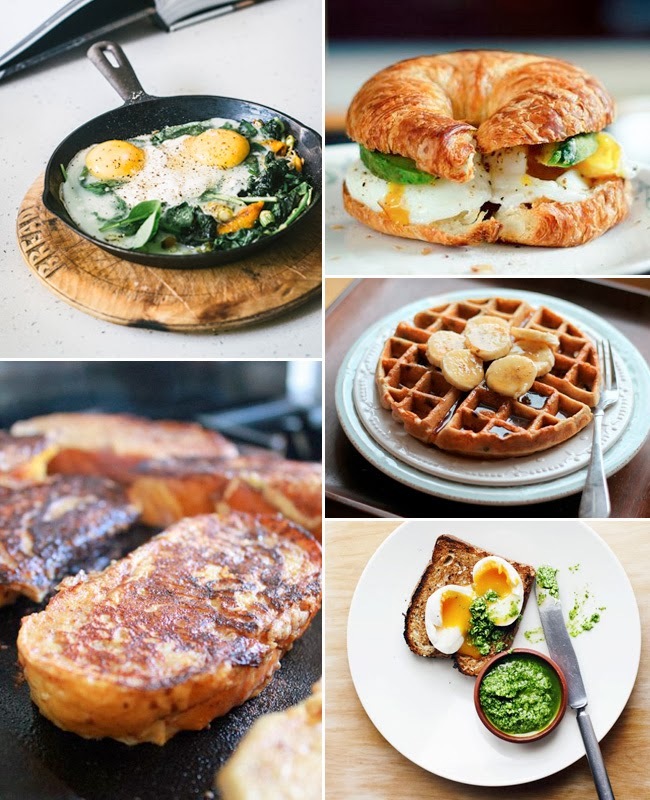 In the meantime I am allowed to dream and possibly to prepare some yummy breakfasts and here's a bit of deliciously beautiful inspiration from my Pinterest. What are you planning to breakfast on? Happy weekend everyone. PS I have now moved to researching waffle makers... yes look at those waffles... yum! Any suggestions on good, affordable waffle makers? Oh, they all look yummy! Makes me hungry although I just ate my breakfast!